These handmade beauties have endless sparkle and shine and packed with beauty that simply is not done justice by the photos alone! 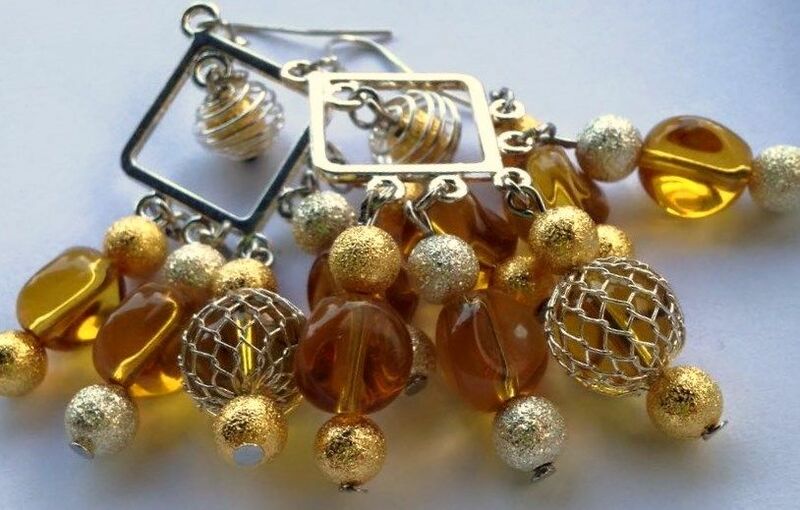 Made with: hypo-allergenic hooks, assorted metals and amber colored czech glass beads. 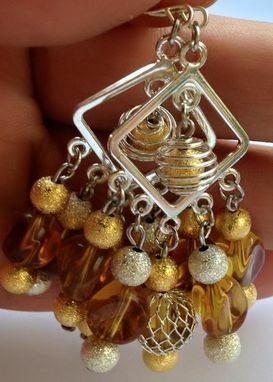 "all metals are lead & nickle free"
These earrings hang a bit over 2 inches from earlobe. Made and Ready to ship via priority mail.